When it comes to the maintenance of our car's health, most of us know how important a car service and an MOT test is. But what actually is the difference between a car service and MOT? Often they're paired together as a double act once a year - but as separate tests, what do they include? And why do we need both? Is an MOT and service the same thing? An MOT is an annual (depending on the age of your car) test which is required by law. The checks are structured following the DVSA's strict criteria that indicates when a car should fail or pass its MOT. There are various areas that are looked into during your MOT such as lights, steering and suspension, windscreen, bodywork, doors, fuel system, emissions, brakes and wheels/tyres. This test is set out to assess if your vehicle is safe to drive against DVSA standards. For more information on what you can do to help your car pass its MOT, find out how to prepare for your MOT today. A service, as opposed to the MOT, is a series of maintenance procedures carried out to test how efficiently the car is running. Testers look for any areas that would indicate the car is not able to perform optimally while on the road, following guidelines set out by the vehicle manufacturer rather than the DVSA. Which could mean your car passes its MOT with flying colours, yet a week later, you could be on the phone to the AA requesting breakdown assistance. 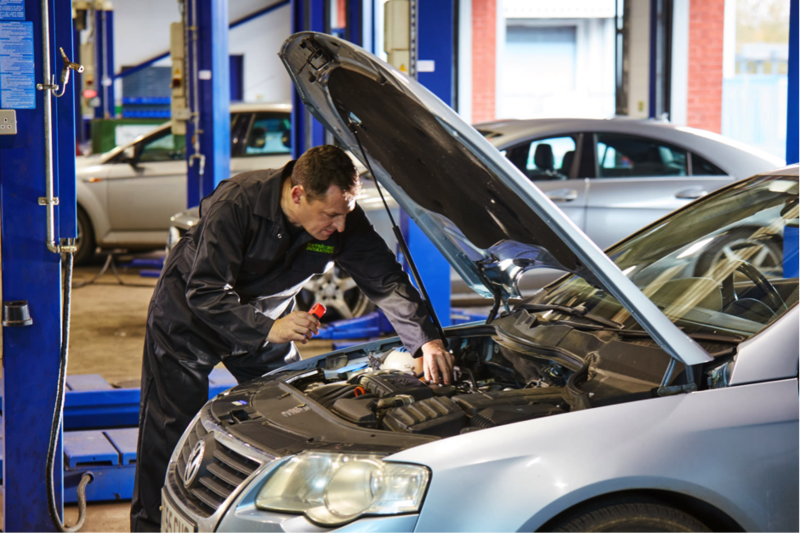 People often decide that they'll go ahead with the MOT but won't service the car - this could be due to financial reasons or merely because they're not aware of the differences between the two. Yet, having a service and MOT performed at the same time, having your car tested against both DVSA guidelines and the vehicle manufacturer's, is the best way to ensure your car is safe to drive, also limiting the chances of you running into any problems in the coming months. Are you looking to book in your car MOT and service? The technicians at Formula One Autocentres are fully trained to the highest standards, making them the perfect choice for your MOT and service needs. Locate your nearest MOT test centre today and book with us online.